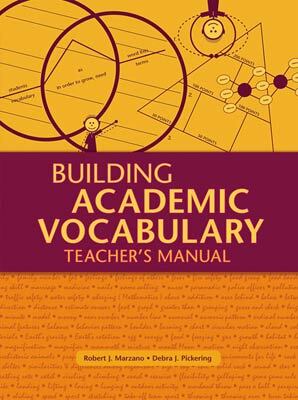 This manual will enable you to design and implement a comprehensive approach to teaching academic vocabulary as a district, a school, or an individual classroom teacher. The rationale for and research behind this approach are described in depth in Building Background Knowledge for Academic Achievement: Research on What Works in Schools (Marzano, 2004). We strongly encourage you to read it. Teaching specific terms in a specific way is probably the strongest action a teacher can take to ensure that students have the academic background knowledge they need to understand the content they will encounter in school. When all the teachers in a school focus on the same academic vocabulary and teach it in the same way, the school has a powerful comprehensive approach. When all the teachers in a district embrace and use the approach, it becomes even more powerful. To illustrate the effect of a systematic approach to teaching academic vocabulary, let's consider some of the research presented in Building Background Knowledge for Academic Achievement. Figure 1.1, for example, depicts two situations. The bar on the left-hand side of the figure depicts a student who is at the 50th percentile in terms of ability to comprehend the subject matter taught in school, with no direct vocabulary instruction. The bar on the right-hand side shows the comprehension level of the same student after specific content-area terms have been taught in a specific way. As you can see, the student's comprehension ability has increased to the 83rd percentile. This dramatic increase provides a strong argument for teaching academic terms. Why, you might ask, does vocabulary instruction have such a profound effect on student comprehension of academic content? The answer to this question is straightforward. People's knowledge of any topic is encapsulated in the terms they know that are relevant to the topic. For example, people who know a great deal about snow skiing understand terms such as fall line, snow plow, corn snow, unweight, powder, packed powder, green slope, blue slope, black slope, mogul, carving, and face-plant. Likewise, students who understand the content in their state mathematics standards document regarding data analysis and statistics have an understanding of terms such as mean, median, mode, range, standard deviation, and central tendency. The more students understand these terms, the easier it is for them to understand information they may read or hear about the topic. On the other hand, without a basic knowledge of these terms, students will have difficulty understanding information they read or hear. Knowledge of important terms is critical to understanding any subject. If, for example, you are a snow skier, the following advice from a ski instructor is easy to understand. If you are not a snow skier, it probably makes little sense. Carving is appropriate for most green and blue slopes and even some black slopes. However, if you try to carve through moguls, especially in packed powder or corn snow, you're going to face-plant. Although a bit contrived, this illustration makes the point that the more terms a person knows about a given subject, the easier it is to understand—and learn—new information related to that subject. This general knowledge is referred to as background knowledge. When students have general knowledge of the terms that are important to content taught in school, they can be said to have the necessary academic background knowledge. Many students acquire academic background knowledge outside of school and come to subject-area classes already knowing and using terms essential for understanding content. For example, they or their families may have traveled extensively, exposing them to a variety of individuals, experiences, and cultures. Such students commonly take part in conversations at home that involve abundant information that will be useful to them in school. In short, they may have quite incidentally gained the academic background knowledge they need to succeed in school. By contrast, students from families with fewer resources may have lacked such opportunities and, thus, have not incidentally acquired important academic background knowledge. These two types of students—those from academically advantaged environments and those from academically disadvantaged environments—enter school with significant discrepancies in terms of their chances for academic success. Unfortunately, as time progresses, the gap in academic background knowledge grows even larger, as does the gap in academic achievement between the two groups. Given the importance of academic background knowledge and the fact that vocabulary is such an essential aspect of it, one of the most crucial services that teachers can provide, particularly for students who do not come from academically advantaged backgrounds, is systematic instruction in important academic terms. This manual describes the specifics of such an approach and contains a list of 7,923 terms across 11 subject areas. Following the suggestions in this manual, an individual teacher, a school, or an entire district can design and implement a comprehensive program to teach and reinforce academic terms and, consequently, greatly enhance students' chances of learning the academic content presented in subject matter classes. Marzano, Robert J. (2004). Building background knowledge for academic achievement: Research on what works in schools. Alexandria, VA: Association for Supervision and Curriculum Development. Stahl, S. A., & Fairbanks, M. M. (1986). The effects of vocabulary instruction: A model-based meta-analysis. Review of Educational Research, 56(1), 72–110.